Short Prayers or Long Prayers? The other day in the monthly staff meeting that we have at the home for needy children, the administrator, Jill, said she wanted us to spend the first 15 minutes in prayer. She invited those so inclined, to say a prayer out loud. She said the prayers should be short. One or two sentences. She said that because on occasion she would get frustrated with her two young children. She told us that she would be at a store and her kids would ask her for something. Sometimes she would tell tell them that yes, she would buy them a toy, but that they would need to wait. During their time at the store, the kids would continue to ask for the toy. She had already told them that she would buy it but they kept asking for it. It bothered her that they didn’t seem to believe her or trust her word. Then she realized that she does the same thing with God in her prayers. She doesn’t just ask once God for something once and then leave it in his good and loving hands, but keeps pestering God about it. for example, she cares for two children. One boy she adopted was born with hepatitis C. She kept praying for him to be healed, like God didn’t hear her the first time. She has cared for a six year old girl for almost that long. She has tried to adopt the girl for almost that long, but has had no success dealing with the Mexican bureaucracy in the adoption process, despite her many prayers. At the staff meeting most of us prayed a simple, short prayer, and I thought that it was one of the best corporate prayer times that we have had. Later, I told her that I liked what she had said, and agreed with her, especially since I regularly had the same shopping experience with my two young daughters. I told her that I thought Jesus agreed as well. Jesus talked about how to pray appropriately with his disciples in Matthew 6 and also in Luke. In Matthew he told his followers that some people babble long prayers and think that they will be heard because of their many words. Then he told them the Lord’s Prayer. It is easily prayed in 30 seconds, and covers any kind of a petition or concern that could possibly be on a person’s heart. So why do so many people pray such long prayers, especially in public? At the mission we naturally pray before each meal. The other day someone prayed for about two minutes. Really, how long does it take to say “Thank you God for this food and bless it for our bodies use”? Then there is the other side of the coin, or the tortilla, as my wife likes to say. A few days after Jill spoke, Modesto, one of our missionaries from the mountains of Oaxaca, spoke about perseverance in prayer, and I thought of Jesus teaching on persevering in prayer (Luke 18:1-8)) I also thought about Jesus prayer request at Gethsemane. He asked God to let the cup that he was going to endure, to pass from him, adding the words, “Yet not my will, but yours be done.” That seems like a short enough prayer, but when he found his disciples sleeping, he asked them why they could not pray with him for one hour? So what seems like a short prayer request was actually a long prayer. So what does God really want? Long Prayers or short prayers? Part of the answer can be found in Ecclesiastes chapter three where the writer says there is a time for everything. There is a time for short prayers and long prayers. Also, we need to define prayer. Prayer is communicating with God. Paul tells believers in his letter to the Thessalonians to pray without ceasing. In this sense our lives are to be lives of prayer, always communicating with God. 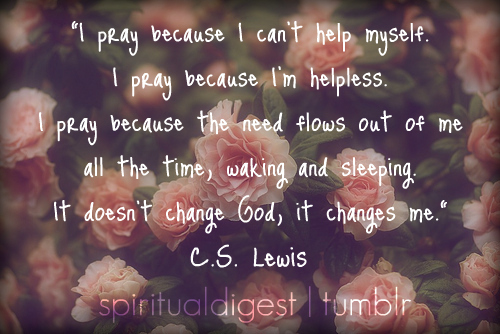 We also need to consider different aspects of prayer. Many Christians use the acronym ACTS to help them with their prayers. A is for Adoration. C is for Confession. T is for Thanksgiving. S is for Supplication or petition; asking God for things. When we are communicating with God; adoring and thanking him, our prayers can never be long enough. We could, and probably will, spend an eternity worshiping and praising and thanking God. I have been reading Revelation lately, and over and over there are passages depicting the angels and elders and departed saints singing praises to God eternally; thanking God forever and ever. Our primary communication with the Almighty should be adoration and thanksgiving. By our attitudes, actions and words we communicate with God and with others our gratitude and love for our Creator and Savior. Confession of our sins, faults, errors and shortcomings are a vital aspect of prayer as well. 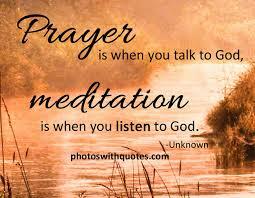 How long this part of communication lasts with God depends on the person who is praying. We would hope this aspect of prayer would not consume a terrible amount of time, although I am reminded of Martin Luther, who, when living in a monastery, would spend an hour or two each day confessing his sins. He recognized himself as a sinful man when comparing himself to a holy God, and how far short he fell from God’s righteous demands upon his life. As I grow older and closer to God, my own sinful acts, thoughts and behavior become more apparent to me, and, I must confess, that confession takes up a greater part of my prayer life. Some people, however, spend an inordinate amount of time praying about their sins. God doesn’t want us to focus on on our sins, but on the Savior who saves us from lives from sin. He wants us to focus on his overwhelming compassion and mercy. He wants us to continually remember that he forgives our sins and cleanses us from all unrighteousness. This brings us back to Adoration and Thankfulness. The final letter is S which stands for Supplication, or to use a more common word, petition. Or, to put it more simply, asking God for something. Some people seem to think that we can twist God’s arm into giving us what we want, by asking him over and over for the same thing, like one of my daughters does when we pass the toy department in Wal-Mart. Others think fasting is the trick to getting our own way with God. Some like to gang up on the Almighty with prayer chains to receive a positive response. None of these tactics work to manipulate God into giving us what we want. No matter how determined or sincere the person or people praying the prayers are; no matter what the grievous situation may be or how many people may be blessed by an answer in the affirmative. God is sovereign, all powerful and all wise. He has determined what will happen before the foundation of the earth. Because of this knowledge I stopped praying petitionary prayers for many years. Why ask God for things and to help people when he has already determined what is going to happen, I reasoned. And then I took a close look at the Lord’s Prayer, which Jesus taught his disciples to pray, and realized the whole thing is a series of petitions. I wondered why God wanted us to make all these requests of him, when he had already decided whether to grant them or not. It finally struck me that asking God for stuff was not so that I might change his mind or convince him of the rightness of my request. He wants me to ask him for stuff to change me and convince me that I am an extremely needy and dependent human being. When I ask God for daily bread, forgiveness and deliverance from the Evil One, I am forced to recognize my weakness and inability to ultimately provide any good thing for myself. By praying petitionary prayers, my eyes are opened to God’s goodness and the fact that he loves me and wants me to be happy. Every bite of food I swallow and drink of water that goes down my throat is a generous gift from my loving heavenly Father. Every time I receive pardon for sins and am protected from the Evil One, I know it has happened because of God’s incredible mercy and grace. Also, when we pray for people in need, many times God is asking us to be part of the answer. When we pray for a sick person, perhaps God is telling us to bring that person or the family a meal or clean their house. Maybe when we pray for people in prison God is telling us to teach them English and bring them some cookies, a smile and a hug. It could just be that when we pray for impoverished people in Mexico, that God is telling us to start a home for needy children, or maybe two or three! When we pray for the needs of people, our main focus in that prayer should be to ask God how we can cooperate with him in being part of the answer. So I spend a minute praying the petitionary prayer the Savior taught us to pray, and an hour giving him adoration and thanksgiving for the hundreds of ways he lovingly answers those petitions. So the answer to the question, “Long Prayers or short?” The answer is Yes! Long on praise and thanksgiving, short on petition.